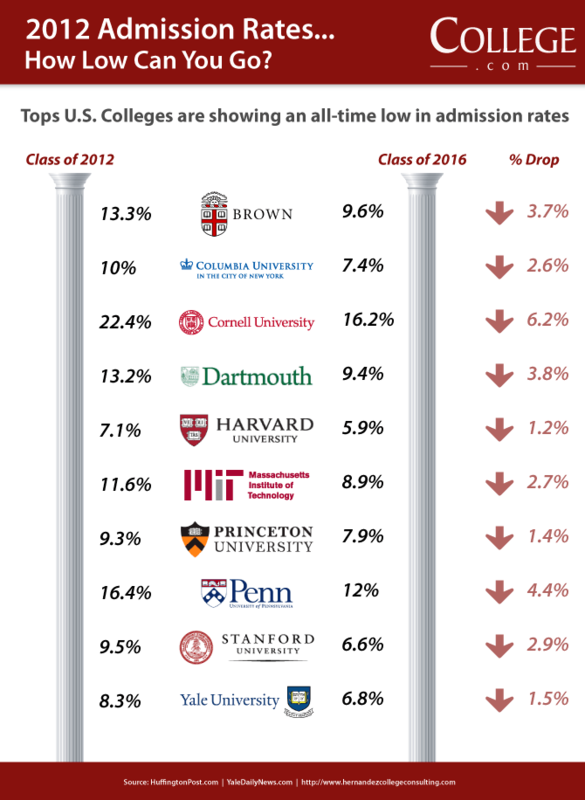 May 24, 2012 0 comments on "Ivy League College Admissions Rates at Record Lows"
Ivy League colleges and universities have traditionally been selective when admitting students to their undergraduate degree programs. If recent admissions trends are any indication, other post-secondary schools may be becoming equally as selective, presenting new challenges for high school graduates and adult continuing education students. Previous Previous post: Who’s Winning The Lingerie Wars?